One reason for non-adherence is that patients simply forget to take the medication. 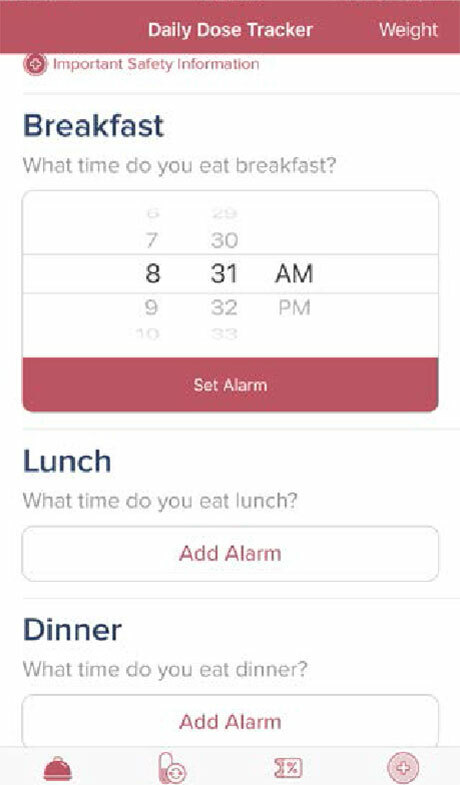 The LOMAIRA Daily Dose Tracker app allows patients to enter the Lomaira daily dosing schedule and set an alert 30 minutes before each meal. 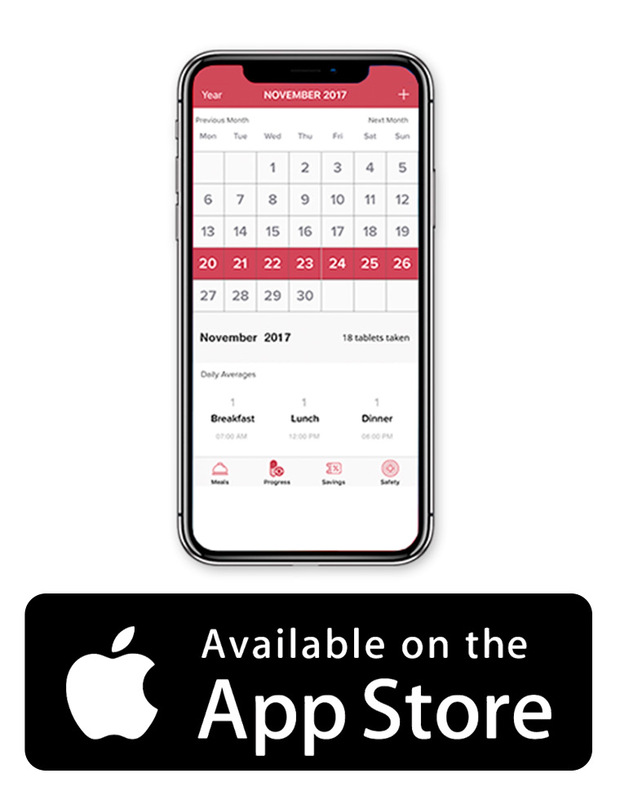 In addition, the free app tracks a patient’s weight-reduction progress, provides refill reminders, and a visual history of LOMAIRA dosing. Clich here for a Easy how-to instructions to set up your Lomaira app. 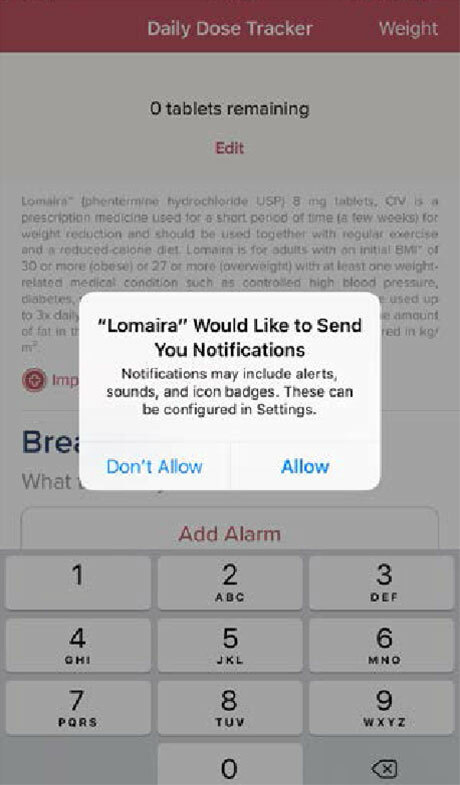 Allow notifications so that the app can remind you to take your daily dose of Lomaira. 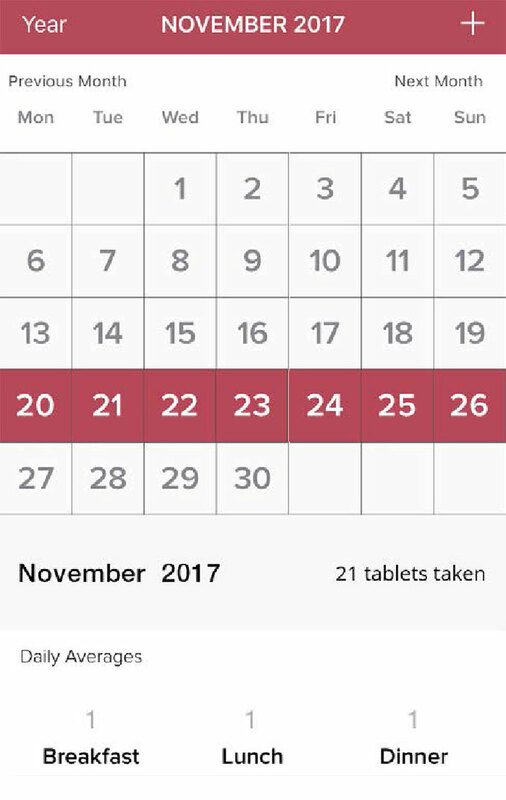 Enter number of tablets prescribed by your healthcare provider. 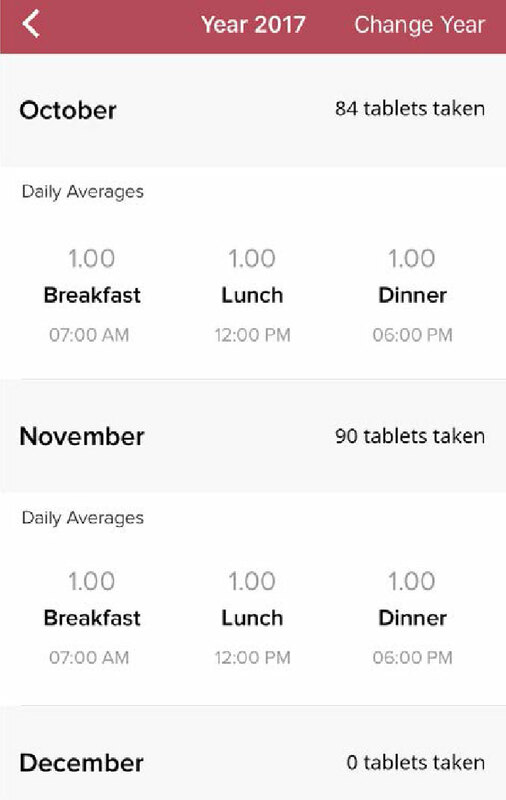 The Lomaira app will automatically track your medicine usage and alert you when it’s time to refill. Enter the typical time you eat breakfast, lunch, and dinner. 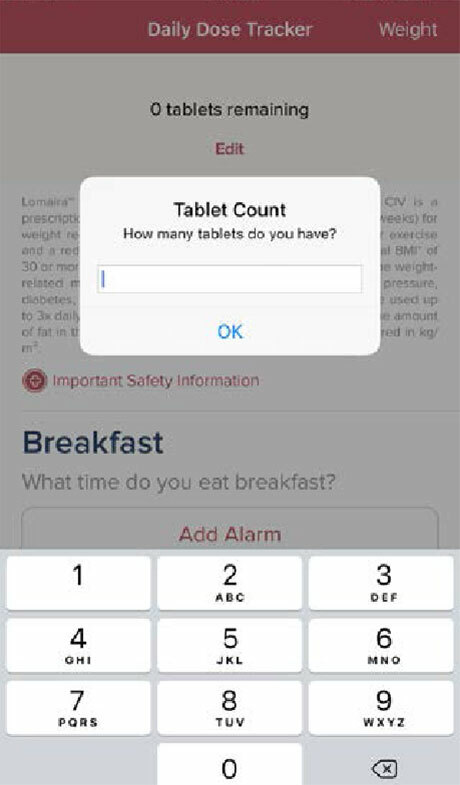 You will be alerted to take your Lomaira tablet 30 minutes prior to your customized mealtime setting. 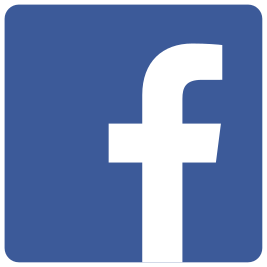 Your digital calendar will sync automatically. 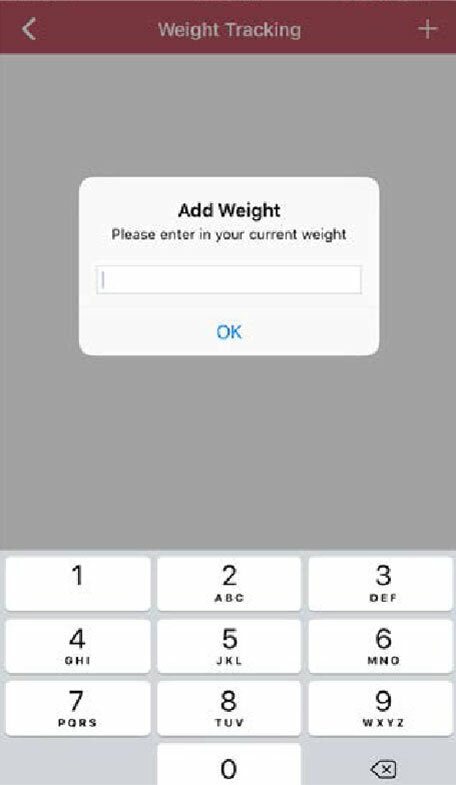 Track your weightloss progress by clicking on “weight”, then the plus sign in the upper right corner and entering your current weight. 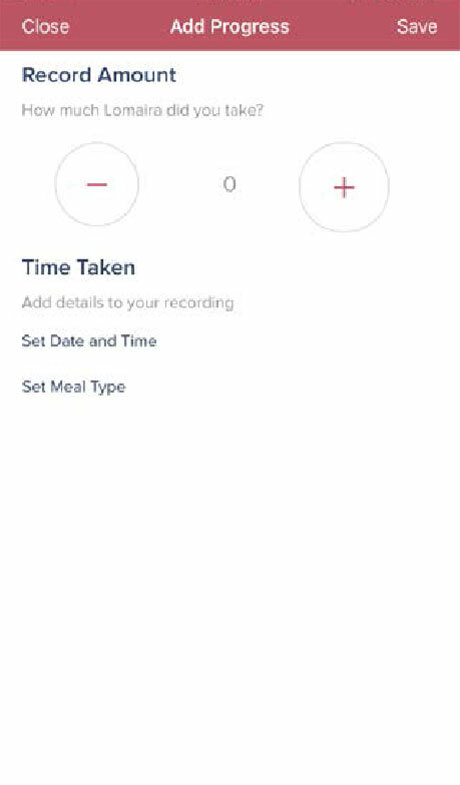 You can enter your weight regularly by clicking on the “meals” icon in the lower left of the screen. 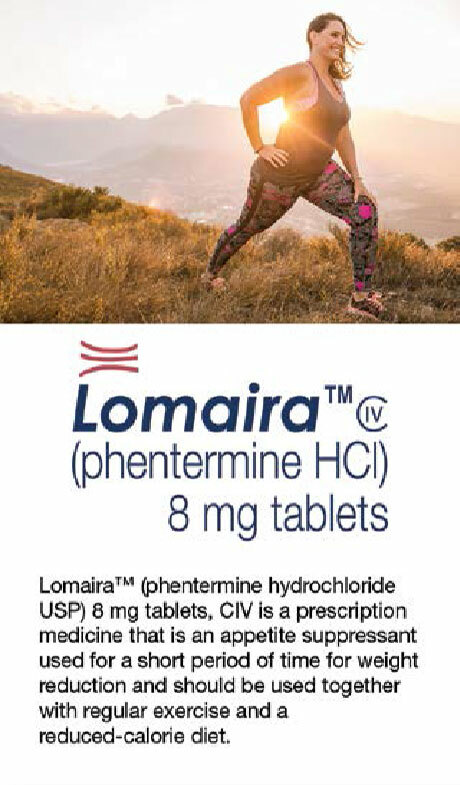 Click the “Progress” icon, then the plus sign to enter the number of tablets, date and time, and meal type for your daily Lomaira dose. Click “Save”. 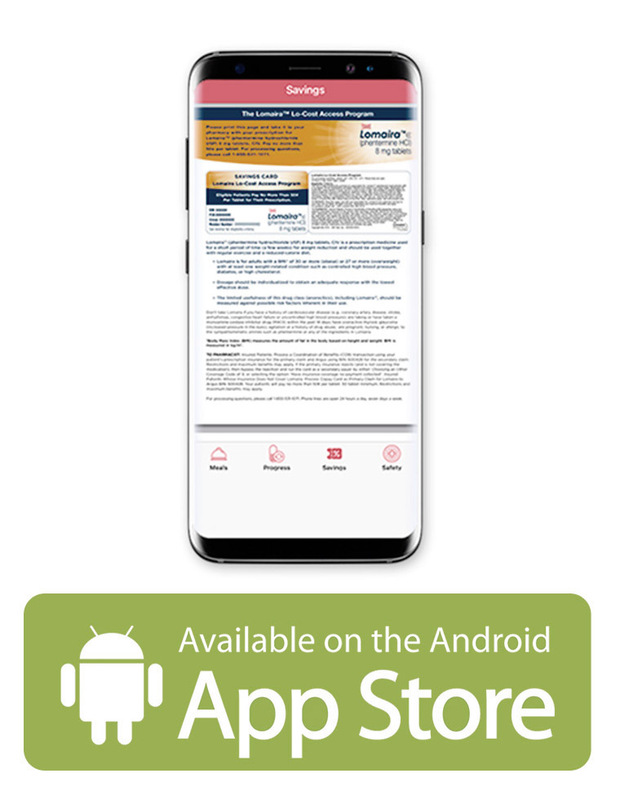 View the history of your Lomaira treatment and dose adjustments by clicking “Year” on the progress page. Easy "How-to" instructions to set up your Lomaira app.